The keynote speaker will be my National Writing Project colleague, Antero Garcia, and the overall theme of the conference is all about Connected Learning. Antero will no doubt be talking about youth action projects, as he has done a lot of work and writing and research in that area of Connected Learning and Participatory Culture. We only have an hour in our game workshop session, but I still hope I have time to pull out Uno cards and dice, and get the participants hacking a collaborative game, if only to experience the act of game design. 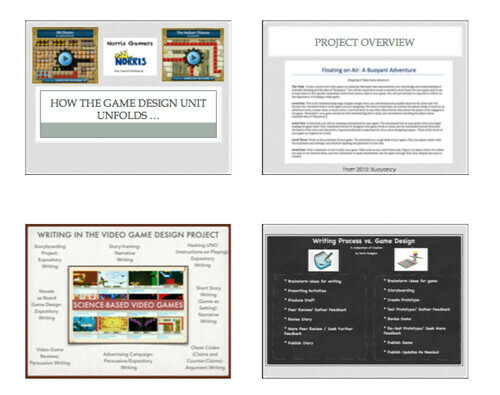 I also see it as another venue to showcase work of students and to validate how video game design can find a place in the ELA classroom (particularly with a science connection). Knock ’em dead, guys. Hit a hole in one grand slam 100 yard kickoff return. antispamtasticality: rework eh They really do say “eh” in Canada. I thought it was just a joke, but no. The passenger next to me spoke to his friend, “I guess if we go to work every day we are reworking it, eh?” His friend responded, “Rework, eh? Beauty.” Canadians. Always something, eh?